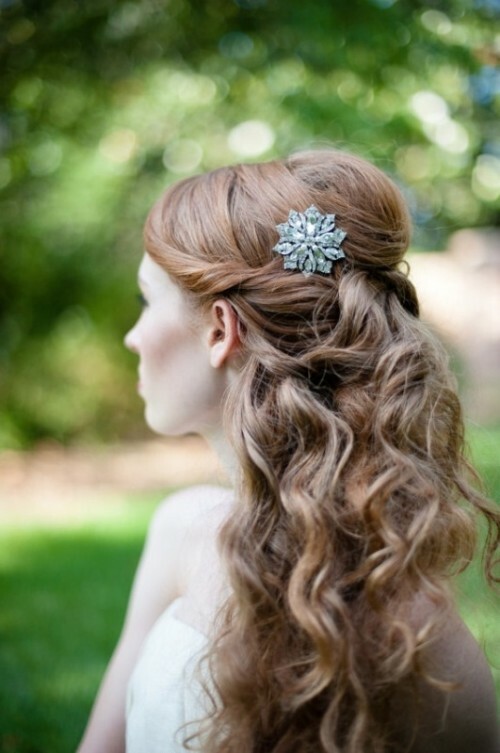 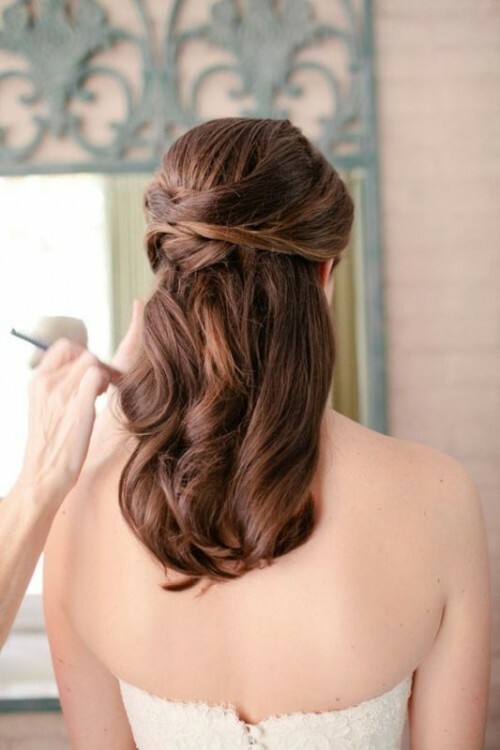 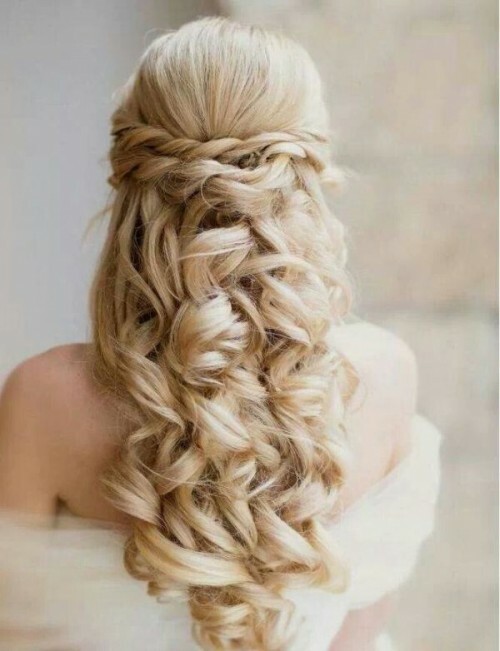 If you’re a lucky owner of long hair, there’s probably nothing prettier than a half updo for you on a wedding day. 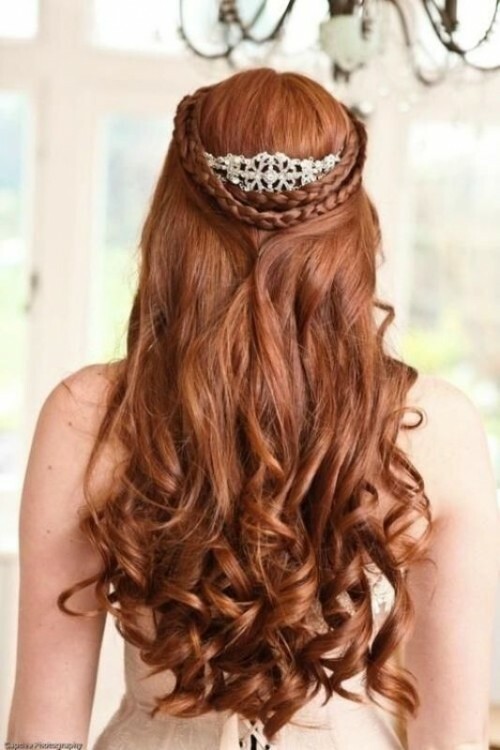 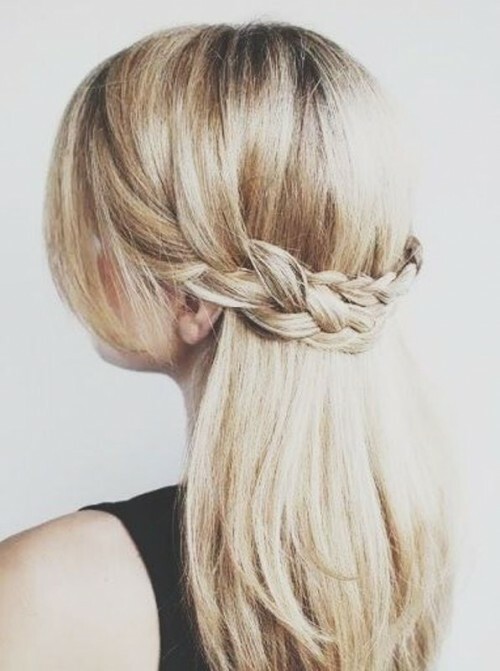 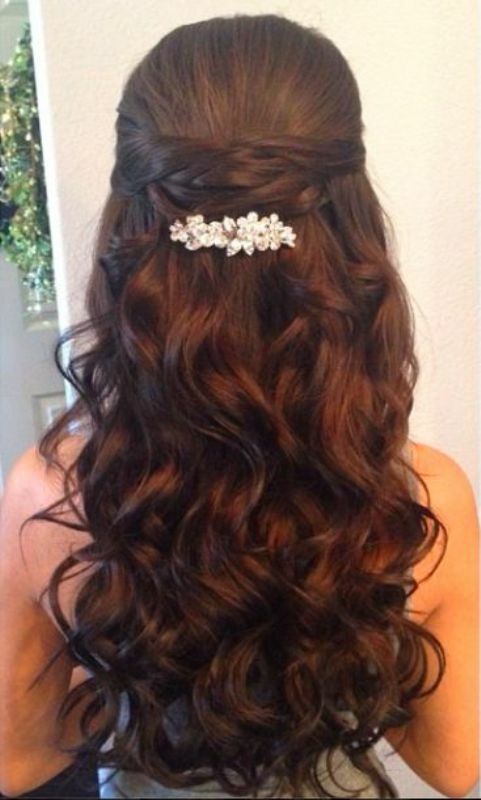 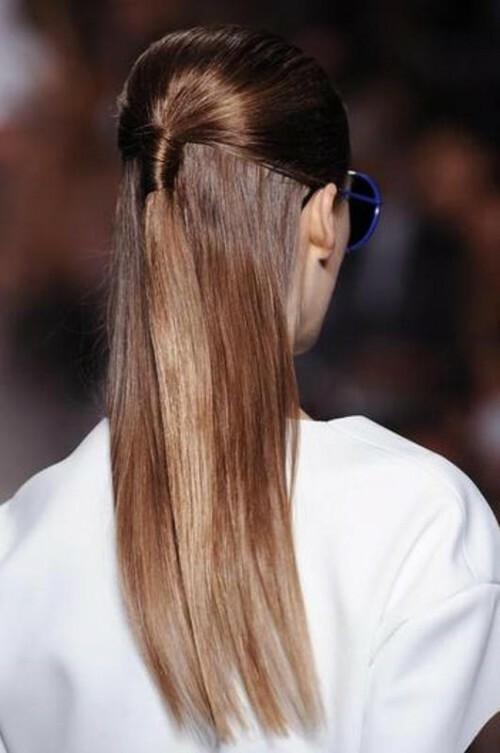 This hairstyle also fits medium length hair and both thick and thin locks. 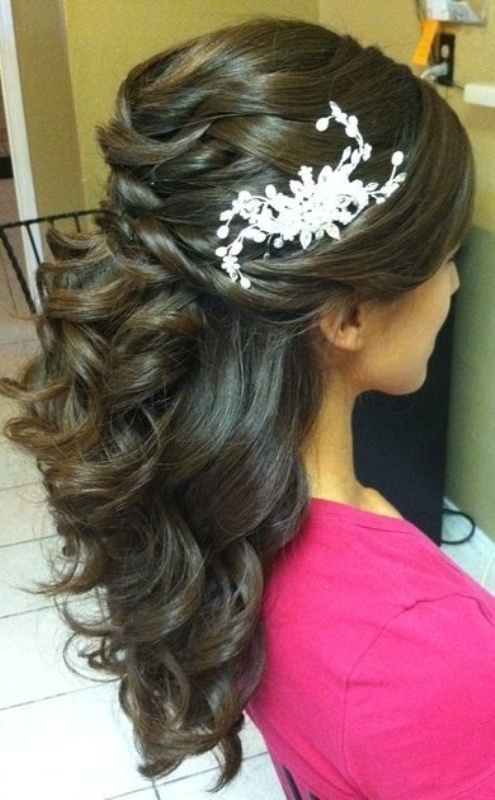 Celebrities usually adore this type of hairdo and it’s easy to see why. 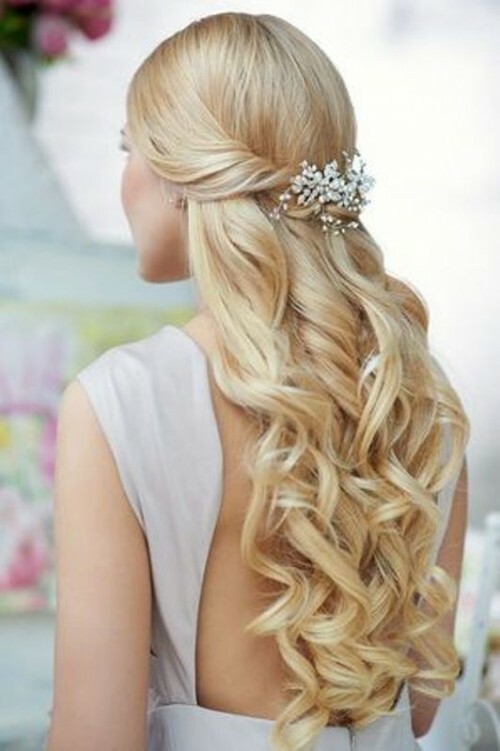 It holds the attention on your face, reveals the neck just a little bit yet shows the gorgeous length of your shiny locks. 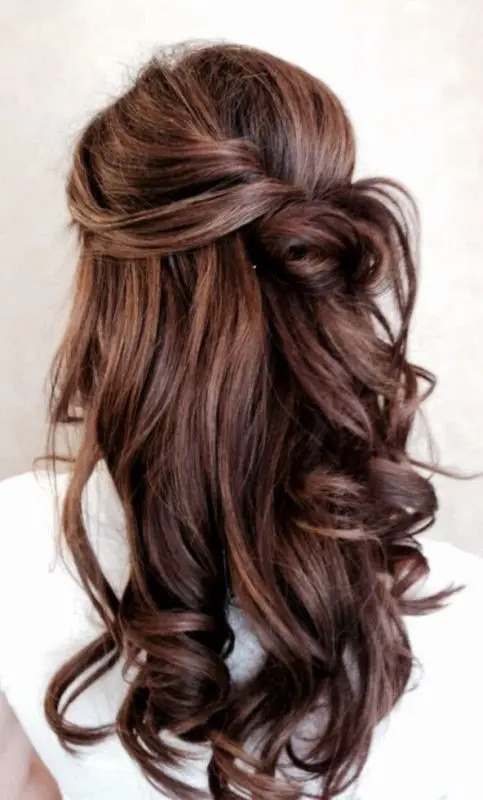 It’s up to you whether to keep your hair smooth and straight like Rosie Huntington-Whiteley or make some soft and delicate curls like Kate Middleton, the duchess, because you know what suits you best. 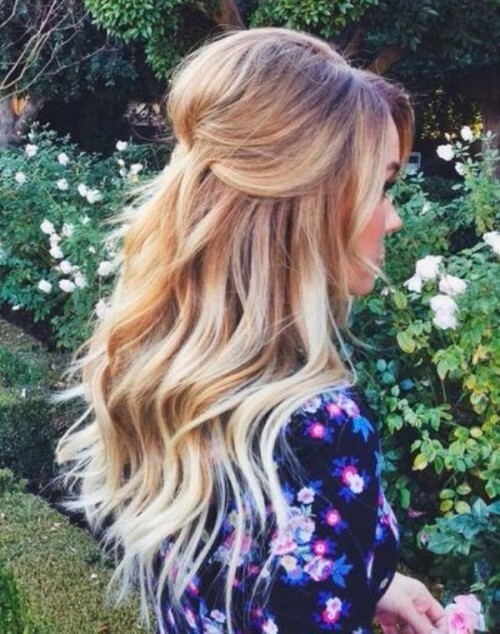 We’ve collected a gallery with awesome half up hairstyles, so take a look and get inspired!